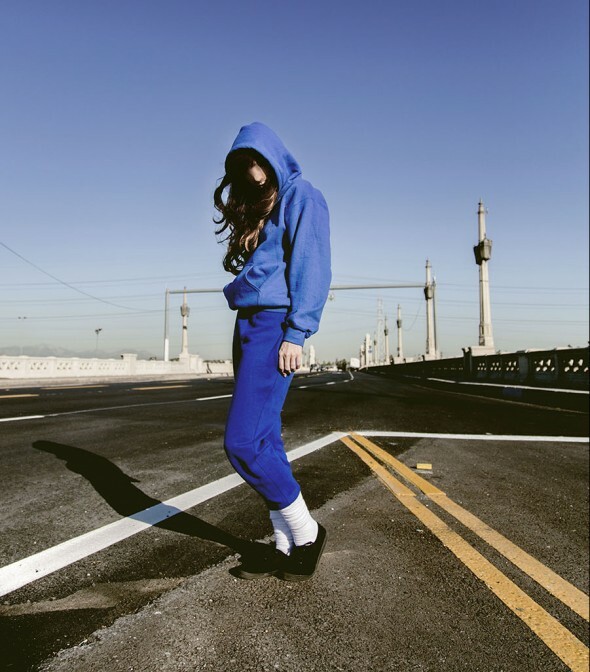 Gazelle Twin is the invention of UK composer and producer Elizabeth Bernholz. Her latest album, 'Pastoral' (released on 21 Sep, 2018 solely on Anti-Ghost Moon Ray) was debuted live at Supersonic Festival in 23 June, Birmingham and is currently on tour. The first single from the album, 'Hobby Horse' was released digitally on 22 June, followed by 'Glory' on 14 September 2018. The album has received wide critical acclaim by The Quietus, Pitchfork, The Wire, Pop Matters, Electronic Sound Magazine and more. The 2016 live project, 'Kingdom Come' (still touring), was commissioned by Future Everything Festival, and featured a performance for 2 vocalists, film and treadmills. The Vinyl Factory released the 3-track 'METRO' EP from the show as an exclusive edition of 300, with artwork by Barnbrook. The 2014 album, UNFLESH, was released in partnership with Last Gang Records (Canada). The album was The Quietus' Album of the Year 2014, noted by Jon Pareles for The New York Times, and entered into various end-of-year 2014 charts including NPR's Top 10 Electronic albums 2014, Uncut's Top 75 of 2014, Wondering Sound's Top 100 and more. In April 2015 Hypercolour Records released a 12" featuring Tom Demac's dance reworkings of 'GUTS' and 'Belly of the Beast'. The UNFLESH tour ran from December 2013 - November 2015. Fleshed Out a remix LP from UNFLESH was released 2016 on double vinyl with remixes by Carter Tutti, Dave Clarke, Perc, Blanck Mass, Don't Look, Vanishing, Lone Taxidermist, Wrangler, I Speak Machine, and Zamilska. The debut album, The Entire City was released in July 2011 to wide critical acclaim and was Anti-Ghost Moon Ray's first full, physical release as a label. The album track Bell Tower featured in the 20th Century Fox short film Thus Spake Zarathustra directed by Ridley Scott for the Blu-Ray release of Prometheus (2012). The Entire City Remixed was released in 2012 with remixes from John Foxx and The Maths, Scanner, Maya Postepski (Austra), Alphabets Heaven and more. In February 2013 the EP MAMMAL was released through Sugarcane Records (USA) on digital and 12" and included remixes by Clint Mansell, Kuedo, Alixander III (Azari & III) and Renaissance Man. Metamatic Records released Exponentialism, featuring John Foxx covers of Never Let Me Go and He's a Liquid, in May 2013. In April 2015, Universal Republic Records released a cover of Love and Mercy by Brian Wilson, recorded especially for AMC's The Walking Dead Season 5 Finale.